The best time to plan for the possibility of nursing home care is when you’re still healthy. By doing so, you may be able to pay for your long-term care and preserve assets for your loved ones. How? Through Medicaid planning. Medicaid is a joint federal-state program that provides medical assistance to various low-income individuals, including those who are aged (i.e., 65 or older), disabled, or blind. It is the single largest payer of nursing home bills in America and is the last resort for people who have no other way to finance their long-term care. Although Medicaid eligibility rules vary from state to state, federal minimum standards and guidelines must be observed. In addition to you meeting your state’s medical and functional criteria for nursing home care, your assets and monthly income must each fall below certain levels if you are to qualify for Medicaid. However, several assets (which may include your family home) and a certain amount of income may be exempt or not counted. To determine whether you qualify for Medicaid, your state may count only the income and assets that are legally available to you for paying bills. That’s where Medicaid planning comes in. Over the years, a number of tools and strategies have arisen that might help you qualify for Medicaid sooner. Countable assets are those that are not exempt by state law or otherwise made inaccessible to the state for Medicaid purposes. The total value of your countable assets (together with your countable income) will determine your eligibility for Medicaid. Under federal guidelines, each state compiles a list of exempt assets. Usually, this list includes such items as the family home (regardless of value), prepaid burial plots and contracts, one automobile, and term life insurance. Through Medicaid planning, you may be able to rearrange your finances so that countable assets are exchanged for exempt assets or otherwise made inaccessible to the state. For example, you may be able to pay off the mortgage on your family home, make home improvements and repairs, pay off your debts, purchase a car for your healthy spouse, and prepay burial expenses. For more information on this topic, contact an elder law attorney who is experienced with your state’s Medicaid laws. Why not simply liquidate all of your assets to pay for your nursing home care? After all, Medicaid will eventually kick in (in most states) once you’ve exhausted your personal resources. The reason is simple: You want to assist your loved ones financially. There are many ways to potentially preserve assets for your loved ones. One way is to use an irrevocable trust. (It’s irrevocable in the sense that you can’t later change its terms or decide to end it.) Property placed in an irrevocable trust will be excluded from your financial picture, for Medicaid purposes. If you name a proper beneficiary, the principal that you deposit into the trust (and possibly any income generated) will be sheltered from the state and can be preserved for your heirs. Typically, though, the trust must be in place and funded for a specific period of time for this strategy to be an effective Medicaid planning tool. For information about Medicaid planning trusts, consult an experienced attorney. Nursing homes are expensive. If you must go to one, will your spouse have enough money to live on? With a little planning, the answer is yes. Here’s how Medicaid affects a married couple. A couple’s assets are pooled together when the state is considering the eligibility of one spouse for Medicaid. The healthy spouse is entitled to keep a spousal resource allowance that generally amounts to one-half of the assets. This may not amount to much money over the long term. A healthy spouse may want to use jointly owned, countable assets to buy a single premium immediate annuity to benefit himself or herself. Converting countable assets into an income stream is a plus because each spouse is entitled to keep all of his or her own income, in contrast to the pooling of assets. 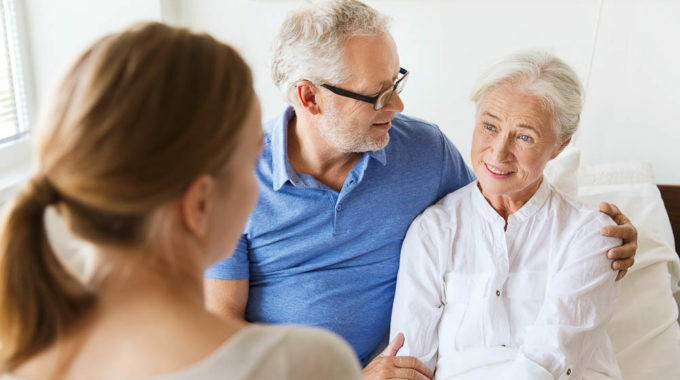 By purchasing an immediate annuity in this manner, the institutionalized spouse can more easily qualify for Medicaid, and the healthy spouse can enjoy a higher standard of living. Be aware, however, that for annuities purchased on February 8, 2006 and thereafter (the date of enactment of the Deficit Reduction Act of 2005), the state must be named as the remainder beneficiary of the annuity after your spouse or a minor or disabled child. Medicaid planning is not without certain risks and drawbacks. In particular, you should be aware of look-back periods, possible disqualification for Medicaid, and estate recoveries. Also, you should know that Medicaid planning is more effective in some states than in others. In addition, federal law encourages states to seek reimbursement from Medicaid recipients for Medicaid payments made on their behalf. This means that your state may be able to place a lien on your property while you are alive, or seek reimbursement from your estate after you die. Make sure to consult an attorney experienced with Medicaid planning and the laws in your state before taking any action.